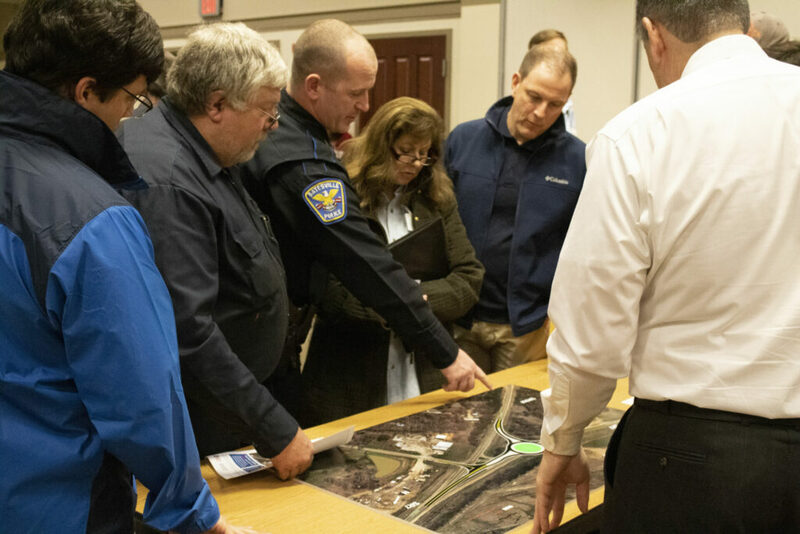 The public was invited to an open meeting Monday at the Oxford Conference Center to review MDOT’s plans for a roundabout at the Highway 7/9 split. 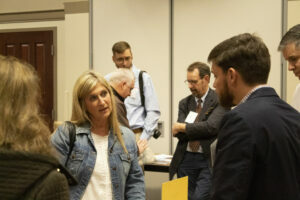 The Mississippi Department of Transportation held the meeting Monday evening at the Oxford Conference Center to present plans to construct a high-speed roundabout at the Highway 7/9 split. Those attending were allowed to review maps and renderings and provide comments and feedback on the plans. According to MDOT spokesman Jace Ponder, the project is expected to be advertised for bids in April with construction beginning this summer and completion by the end of the year. In attendance at the meeting was Oxford Mayor Robyn Tannehill, who supports the roundabout idea as well as potential plans to widen the stretch of Highway 7 in Oxford to benefit commuters. The Highway 7/9 split roundabout project is using money from the Federal Highway Administration which comes in four big “pots” of money, one of which is the Highway Safety Improvement Plan, used only for things with safety issues like severity and number of accidents. Although MDOT has purchased the right-of-way and moved some utilities, Executive Director Melinda McGrath says Highway 7’s future expansion money is currently going to repair bridges and repave roads. Lt. Jeff Wells from the Lafayette County Fire Department is stationed by and lives near the 7/9 split. Wells has reservations regarding the flow of county roads 420 and 369 into the roundabout but believes it can be done correctly.